In This Scene: From costumes to ready-to-wear: It's all in the details. 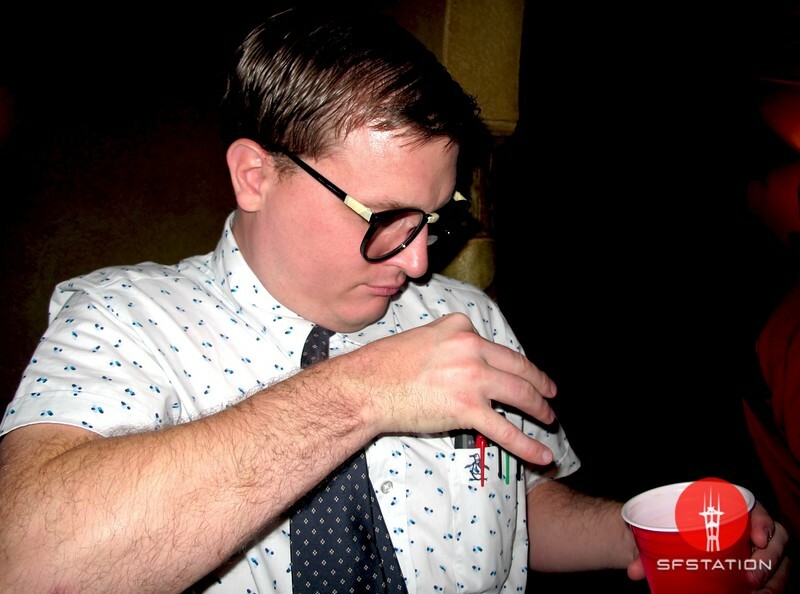 Matt Billenstein, dressed as a nerd for Halloween, said a few friends didn't even recognize him. His Penguin shirt and tie were thrifted in the Haight. It's a nice mix of prints. The glasses, slicked, parted hair, calculator and pens are spot-on.